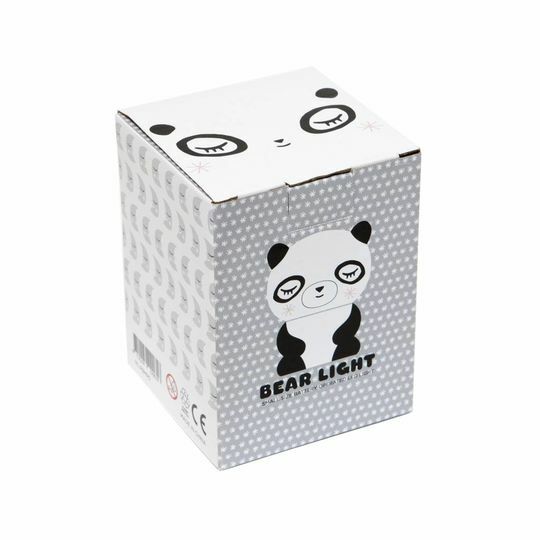 The panda bear nightlight is a battery operated LED light and shut down automatically after approx 60 minutes to save energy. The used warm glow LED is complete childsafe. This nightlight is made of 100% PVC, BPA & phthalate free - CE certifcated and RoHS approved according to the European requirements. 3x LR44 batteries included, the runtime of these batteries will be approx 18 hours after this the light will glow less bright. Packed a printed gift box.